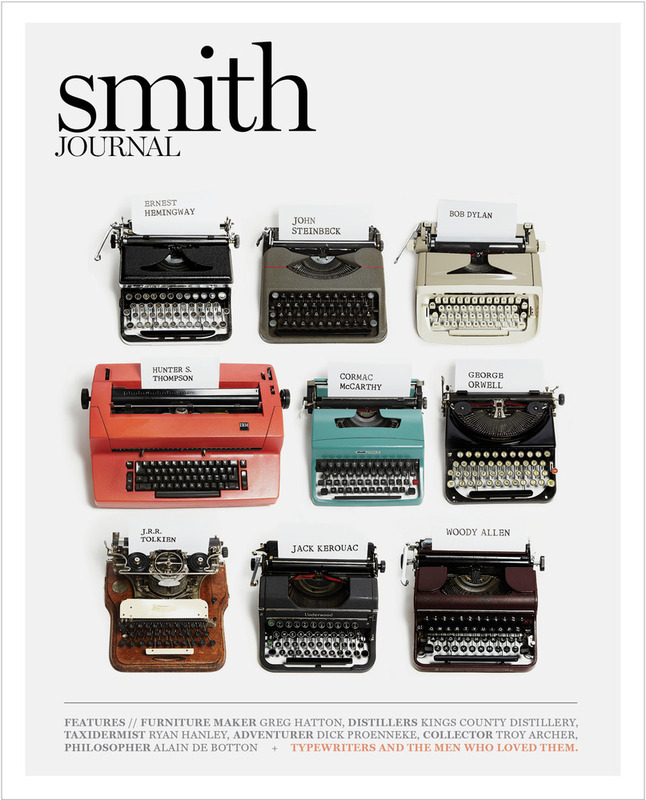 For the discerning gent and any ladies who like reading about discerning gents, here’s a review of Smith Journal. Ever wanted to live in a world where you could buy an Australian-based men’s magazine that wasn’t rife with overly photoshopped girls or products so far beyond your bank account you’d have to reinvent and patent the wheel just to buy them? Well, it turns out that world exists and has done so for almost a year now. Here’s a review of Walter Salles’ adaptation of ‘On the Road’ I wrote for Modern Vestiture. It takes some balls to attempt an adaption of a beloved book from any decade. It takes even more balls to adapt a novel that defines an era and a generation. Walter Salles proves himself to have a decent pair with the recent release of his adaptation of Jack Kerouac’s On the Road. What We Don’t Think About When We Think About Ourselves: Self-Image and Perception. This article appears in issue three of The Hilarian (The University of Adelaide Law School magazine). You can read the whole mag here. What do you think about when you picture yourself? What are your tastes in music, literature, fashion and people? What morals and ethics do you adhere to? What are your religious and political stances? What’s your heritage? Do you care what other people think of you? “But when you take that photograph without imaginaton and then put a “1979” filter on it—your pug wasn’t born in 1979—you are reaching for an invented past that has no relevance to the subject at hand.” Teju Cole on Pinkhassov and Instagram. Breaking Bad Season 1 and 2 remixed. Watch it. Worth it. Watch Joseph Gordon-Levitt get his Magic Mike on in SNL’s opening monologue. Keith Rawson on why Fifty Shades of Grey is rubbish. Cosmo tips from famous authors. Melissa Kavlakoglu on The Innocence of Muslims and how we need to start living in the grey. This is a commencement speech given by David Foster Wallace in 2005 to the graduates of a liberal arts college somewhere in America. A friend put me on to it. It’s brilliant and I’d be surprised if you didn’t learn something from it. Speaking of friends, another of mine just returned from NYC. Here’s a collection of photos by Shane Gray showing a different side to NYC. Here’s some videos to get you through today: the trailer for the adaptation of Kerouac’s On the Road, a Mad Men mash-up to the sounds of Rick Astley, and the peeps at Bad Lip Reading have gone to town on Edward and Bella. Hilarity will ensue. Over at LitReactor, Meredith Borders has comprised a top ten list of the greatest closing lines in literature. What do you think? Stream Grizzly Bear’s new album, Shields, here for surely only a limited time. Overland has introduced their Emerging Poets Series. Check it out. Philip Roth has a go at Wikipedia. Great job! Having just finished watching season three of Breaking Bad—don’t read this if you haven’t and intend to—the idea and perception, morbid as they may be, of death has struck a chord. It ends with Jessie Pinkman standing in front of Gale, a gun pointing to his head and tears welling in his eyes. A gunshot marks the end of the episode. The situation in Breaking Bad is fictitious, obviously, but the idea of one person’s life becoming forfeit for the sake of another—or in this case, two other lives—resonated with me and could be seen as a symbol of the very real fear we have of death. Walt and Jessie placed so much emphasis on their own lives that the life of Gale was a necessary sacrifice for their own survival. Gale hadn’t done anything wrong. It was merely an unfortunate circumstance. Wrong place, wrong time, and all that. Finding yourself in a situation where a choice exists between your own life ending or the destruction of someone else’s, in order to save your own, is rare. I can’t imagine ever being in one. How could you ever make that decision? How could anyone have the right to? Death is a common fear, which comes as a result of many variables: religion (a fear of the afterlife), family (the thought of leaving loved ones behind and the effect our death will have on them), and vanity (life going on without us and realising we haven’t accomplished all we intended), to name a few. The last of these, in my mind, is our greatest flaw. We’re instilled with this idea that we can accomplish anything; our dreams can become reality and the world is our oyster. This is true to a point, but how deluded is this line of thinking? Yes, some dreams can be realised with enough hard work and some circumstantial ‘luck’. But, for the most part, we may be found wanting. If you could shake that fear of death, would the possibility of accomplishing all you desire become a serious reality? I think so. Nothing is more certain than death. I semi-adhere to an Epicurean-esque mentality where once death arrives I can not feel or think or worry about anything, so what’s the use of holding to those same fears whilst living? Atheism enables this line of thinking to become more feasible and, in a way, comforting. The threat of an eternity in a paradise or hell is non-existent. I’ll die when I die and that is all. If I worry about that final ending then how am I to do my own life justice whilst I walk and breathe? This vain fear of death is a constraint and a hindrance. There is no reason to fear it. Life will go on when you die and then other people will die. That’s how it’s always been and how it always will be. How many times have you heard of people having a near death experience or have actually been declared dead, only to be resuscitated? Those people gain a new lease on life, refusing to waste another day. They should have just lived that way originally. Fearing death is a wholly unnecessary vanity. If you do have a fear of dying without having left your mark on the world, then go out and do something about it. If you fear for the people you’ll leave behind, then make the most of your time with them. You could die tomorrow, so why waste time today? Influence people, make them think about things they never have before, and most of all, make yourself happy. You’re the only person you have to live with your entire life. You’re alive right now and your life is yours. Go do something with it. Tear that veil of vanity and self-importance; it only serves to hold you back.